California Bearing Ratio (C.B.R.) Test which is an ad hoc penetration test developed by the California State Highways Dept. (USA) for the evaluation of sub-grade strengths. It is a measure of the shearing resistance of a soil to penetration under controlled density and moisture conditions. The strength of a soil is found by causing a Plunger (or piston) of standard size to penetrate a specimen of the soil prepared to the density and moisture Conditions of the soil to be tested in a standard mould. The resistance to penetrations measured and then expressed as a percentage of the known resistance to penetration of the plunger in a crushed aggregate. 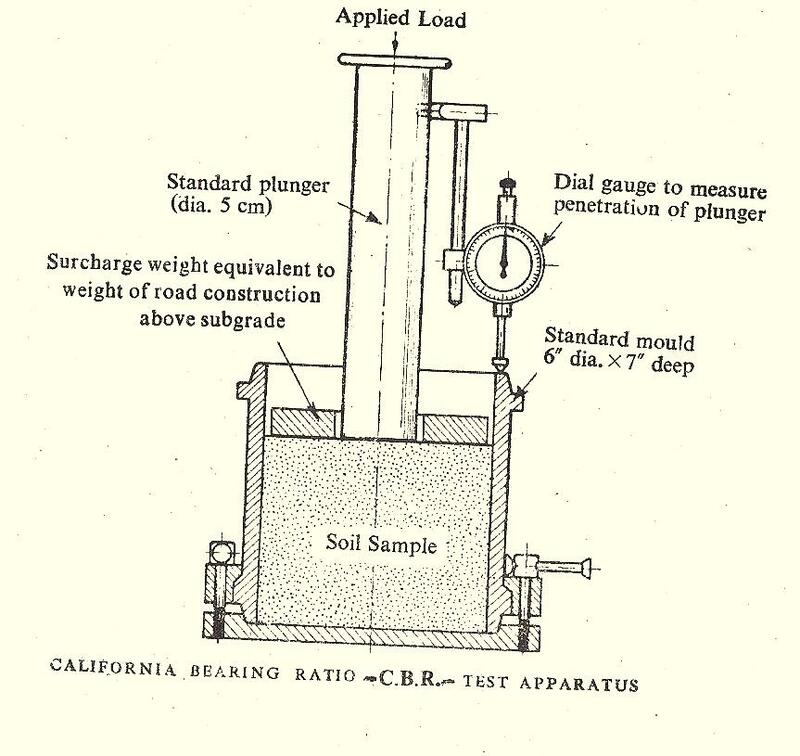 The California Bearing Ratio Test can be made on nearly all soils ranging from clay to fine sand. This test is generally used for the design of road pavements.